Check out Tobi's Hailey High Waisted Leggings Get a casual style upgrade with the Taupe Hailey High Waisted Leggings. These stretchy pants feature a ribbed knit with a high rise waist and wide waistband. These stylish leggings look just right with a crop top and heels or booties. You'll hit your stride on your next weekend shopping trip in these. Get a casual style upgrade with the Black Hailey High Waisted Leggings. These stretchy pants feature a ribbed knit with a high rise waist and wide waistband. These stylish leggings look just right with a crop top and heels or booties. You'll hit your stride on your next weekend shopping trip in these. Get a casual style upgrade with the Taupe Hailey High Waisted Leggings. 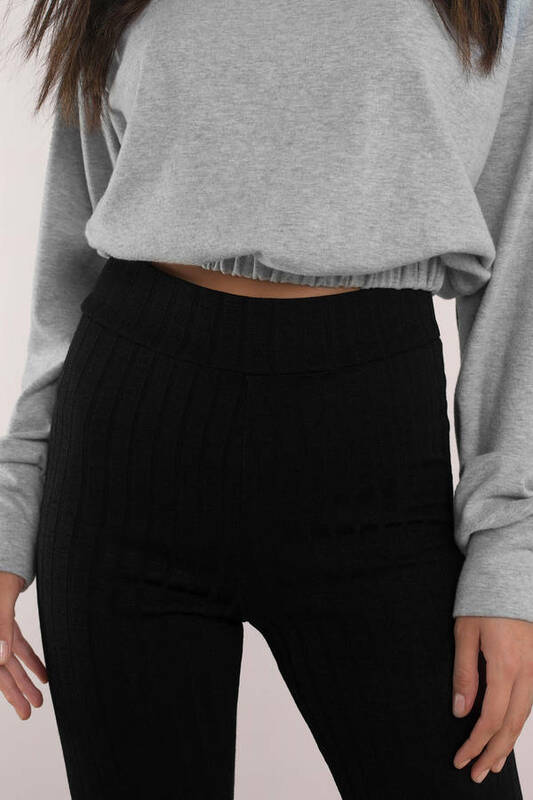 These stretchy pants feature a ribbed knit with a high rise waist and wide waistband. These stylish leggings look just right with a crop top and heels or booties. You'll hit your stride on your next weekend shopping trip in these.